Along with the semitone, tone and fifth, the octave is one of the fundamental musical intervals. A single octave contains the eight diatonic steps of a given scale (C to C in C major, for example). Any note (C4, for example) is exactly double the frequency of the same note an octave below (C3), and half the frequency of the same note an octave above (C5). The octave in which a musical piece, passage, phrase or single note is played determines its 'register'. Combining the Vorbis lossy audio compression codec with the Ogg container format, Ogg Vorbis is a higher quality (for the same size) alternative to MP3, AAC and WMA. Some music applications support it as an export and/or import format. While all synths and samplers - virtual and real-world - are capable of receiving input on one of 16 MIDI channels at a time, some of them can also be switched to omni mode, under which they'll accept input from all 16 channels at once. While for multitimbral instruments, this is essential in order to be able to trigger multiple sounds on multiple channels, for monotimbral instruments, it's not a particularly useful feature, which is why you'll rarely see it included in modern soft synths. The flagship virtual instrument of Californian developer Spectrasonics. Omnisphere is one of the most powerful and sonically impressive synthesisers ever made, boasting not only an astonishingly broad range of synthesis types, modulation sources, effects and performance controllers, but a stunning 42GB library of source samples and presets. An omnidirectional microphone is one that responds equally to sounds coming at it from any direction. While the response pattern can be generally considered even within a 360 degree 'sphere', the body of the microphone will have an effect on soundwaves approaching from behind. Because of that, omnidirectional mics are typically designed to be as small as possible. The Shure SM63LB is a good example of a high-quality dedicated omni, but there are many mics on the market that include omnidirectional among their switchable modes. Microphones are designed with the intention of the sound source being in a very specific position for optimum performance - the 'sweet spot' in terms of frequency response. When your microphone and source are thus positioned, the mic is 'on-axis'; when it or the source is moved so as to deliberately change this optimum position for creative purposes (changing the relayed sound of a guitar cab by pointing the mic at the outer edge of the cone rather than the centre, say), they're 'off-axis'. Loudspeakers are also said to be on- or off-axis, depending on whether the listener is placed in the right spot to have all output frequencies delivered to their ears at full amplitude - this is almost always such that each ear is positioned perpendicular to the front of the relevant speaker. Off-axis performance (ie, how far off-axis you can be before it actually matters) is one of many ways by which speakers are qualitatively measured. A one-shot sample is simply a short audio clip that isn't looped or part of a multisample set. Standard examples of one-shots would include drum hits, spot FX and orchestral stabs. The term 'open source' describes any software that's formally made available under license for anyone to study, modify, use and redistribute as they see fit. Open source licenses might include certain requirements to be fulfilled by developers - that the source code for any modifications also has to be made freely available, for example. The software that constitutes the fundamental operational environment on your Mac, PC, smartphone or tablet (not to mention your hardware synth, sampler, TV, car, etc) under which all your applications and hardware drivers run, is its operating system. The most ubiquitous and well-known operating systems are Windows, OS X, Linux, iOS, Android and Windows Phone, although there are many others. The modern operating system is a staggeringly complicated feat of software engineering, in which designers and engineers have to equally prioritise stability, usability, compatibility, resource management and many other considerations in order to deliver what is, to all intents and purposes, the heart and soul of the general computing experience for the full spectrum of users, from media consumers to office workers, gamers to bankers, photographers to music producers. In an FM synth, each carrier or modulator (the oscillators - see below) and each associated modifier (an envelope, say) is called an operator. Carrier operators generate audible signals, while modulator operators rapidly adjust (modulate) the pitch of the carriers to which they're assigned. A particular routing of carrier and modulator operators is known in some synths as an 'algorithm'. Operator is also the name of Ableton's FM synth, available only in their Live DAW. 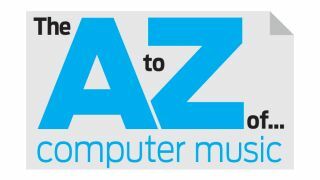 Apple's current Unix-based operating system (see above) for its Macintosh computer platform, and one of two main OSes used for music production, the other being Windows. Currently at version 9 (Mavericks), OS X's Core Audio and Core MIDI APIs offer plug-and-play functionality with much hardware, the ability to 'aggregate' multiple audio devices so that they appear as one to your music software, and - useful in certain situations - acceptable latency and smooth performance when using the system's built-in audio. Overall, OS X is known for its stability and relatively simple user interface. The majority of music software and hardware is compatible with both OS X (Mac) and Windows (PC) - ie, it's 'cross-platform' - though there are exceptions, such as Logic Pro (Mac-only) and Sonar (for PC). OS X also has a lot less freeware for musicians. Open Sound Control. A cross-platform protocol for communication between audio and video applications that's deployed for a range of musical and multimedia-related purposes, mostly relating to real-time performance control, triggering and networking. OSC has gained a fair bit of traction on Mac/PC and iOS in recent years, with forward-thinking developers capitalising on its higher resolution and greater flexibility than MIDI to come up with novel controllers for instruments, lighting rigs, audio/ video installations and more. Generates a cyclical (oscillating) signal of a fixed or user-adjustable shape. In a synthesiser, the oscillator cycles fast enough to produce a signal in the audible range (from around 50Hz up to around 20kHz, though in practice, you'd rarely play a musical note whose fundamental pitch goes this high) as the raw tone to be 'sculpted' and modulated using the synth's filters, LFOs (Low Frequency Oscillators are another type of oscillator used to impart movement on other parameters, usually so slow as to be below the audible range), envelopes, etc. Analogue synths generally have between one and three audible-range oscillators, and typical waveshapes on offer would be sine, square, sawtooth (up and down) and triangle. Other types of synth use oscillators in different ways - an FM synth pairs 'carrier' oscillators and 'modulator' oscillators (see Operator), for example, while a wavetable synth uses very short looped samples, which aren't oscillators in the traditional sense, but sample memory. A standard recording technique, overdubbing simply means to record (as opposed to import) a new part on top of one or more existing parts. For example, the drummer, bass player and guitarist have all laid their tracks down and gone home before the singer hauls himself out of bed and makes it to the studio. Luckily, he or she can overdub their vocals over their bandmates' performances, recording their voice onto a separate track, ready to be mixed in with the rest of the band. Overdubbing can also refer to replacing badly recorded/played parts with better ones. While early, pre-multitrack use involved bouncing the entire existing recording whilst mixing in the overdubbed part being played - resulting in yet another 'everything mixed together' single recording - the advent of multitrack recording made overdubbing much more convenient and flexible. A process used 'under the hood' by music software to work with audio signals at a sample rate much higher than their Nyquist frequency (twice the highest frequency said signal can contain) in order to reduce digital aliasing, thus typically sounding 'better', particularly at the higher end of the frequency spectrum. This is achieved by 'upsampling' the incoming signal, processing it, then 'downsampling' it back to the original sample rate for output.